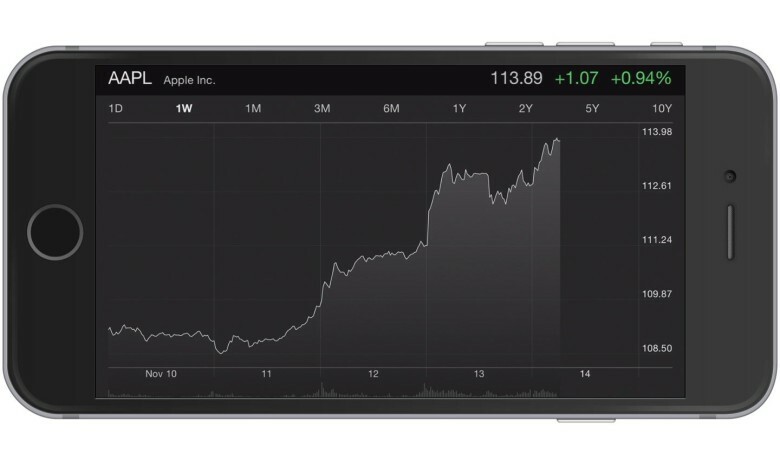 AAPL shares closed at an all-time high yesterday, putting the company’s market cap at $663.2 billion. Never before has Apple been so profitable. In fact, Apple makes so much money, it’s now worth more than the entire Russian stock market. Russia, the world’s 20th largest major market, was surpassed in value by the iPhone maker yesterday, reports Bloomberg’s Mark Barton. And not only could Apple buy the entire Russian stock market, but it’d also have enough chump change to give every Russian a 16GB iPhone Plus. Apple shares have risen steady over the last week, breaking Apple’s previous all-time value of $658 billion in September 2012. In a recent interview, Jony Ive downplayed the company’s value, stating that the focus is to desperately make great products. 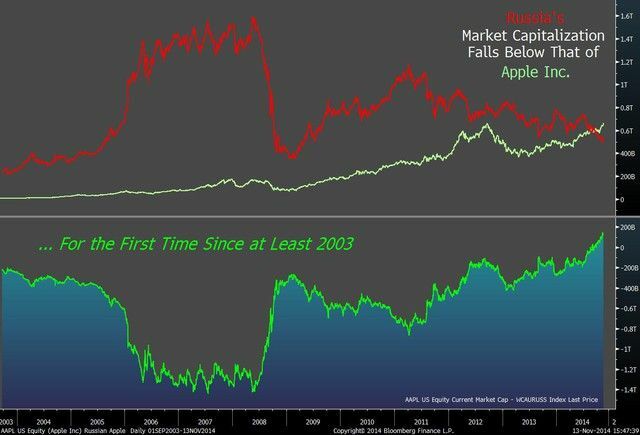 The value of Russian equities have slipped to $531 billion, while Apple is now at $667.2 billion at the time of reporting. Russian is not the only country Apple’s topped recently though. Singapore and Italy are now worth less than Apple as well. And with holiday sales coming around the corner, I have a feeling a few more countries might get passed up pretty soon.